Turner & Tatler pendant necklace from the Victorian Period. 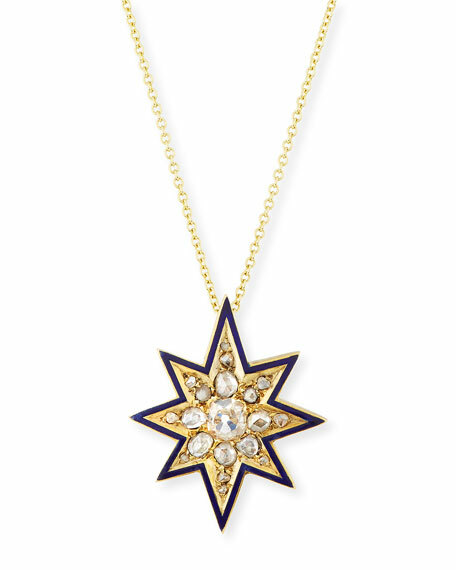 Eight-point star pendant with cobalt blue enamel trim. 0.60 total diamond carat weight. For in-store inquiries, use sku #2144703.